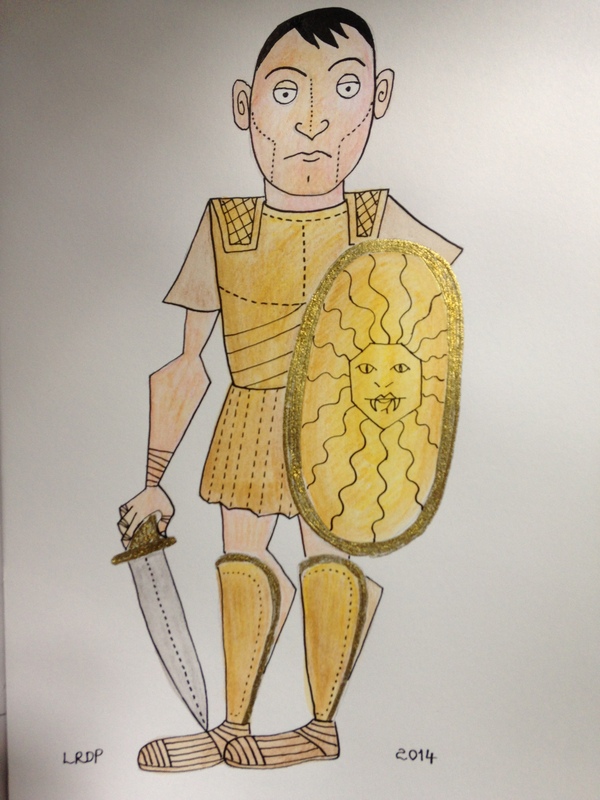 Perseus is one of the major heroes in Greek mythology. He’s yet another one of Zeus’ offspring which makes him a demi-god. Perseus’ grandfather, Acrisius, had been told a prophecy that his daughter’s child would kill him so Acrisius did what any reasonable bloke would do and he imprisoned his daughter, Danae, in a chamber. That failed to stop randy old Zeus, however, who transformed himself into a shower of gold and somehow managed to get Danae pregnant that way. Not to be thwarted, Acrisius cast Danae and baby Perseus adrift at sea in a wooden box. Perseus survived, of course, and it transpired that he did kill Acrisius. Which kind of serves nasty old Grandad right. It was Perseus who defeated the Gorgon Medusa. With guidance from Athena and weapons from the Hesperides and from various gods, Perseus was able to exploit a loophole by only viewing Medusa as a reflection and so avoided being petrified. Perseus’ other most notable act of heroics was his rescue of Andromeda. She had been chained to a rock ready to be sacrificed to the sea monster Cetus in order to appease Poseidon, who Andromeda’s mother had insulted. Perseus then married Andromeda, turning a love rival to stone using Medusa’s head. I like to imagine that Perseus kept his kids disciplined by threatening to whip out Medusa’s head every time they were naughty. I wish I had a gorgon head in a bag for just that reason. As exciting as being a hero is, I was not feeling especially inspired by Perseus. Maybe today my creative mojo is simply in short supply. It’s my second son’s birthday today so probably my mind if just elsewhere. I decided to not draw Perseus engaged in any derring do and just keep it to a simple portrait. In my drawing, he looks somewhat bedraggled and exhausted, the sword weighing heavily in his hand rather than being courageously wielded, battle weary rather than eager to seek out the next thrilling escapade. Maybe his weariness is my own. Producing a complete drawing every day is more taxing than you might think.